We received the following notice concerning the annual closure of the small lock for it's maintenance and inspection procedures. Plan accordingly boaters. And for visitors and tourists, it is still a great time to visit and get a look at what it looks like below the water's surface. View of a previous pumpout. Crews will conduct maintenance and safety inspections during the small chamber pump out and closure. Foot traffic will not be affected and the large lock will continue around-the-clock operations for vessels. Lock wall staff will get commercial traffic through as quickly as possible. All pleasure craft will use the large lock, and boaters should be prepared with appropriate equipment and crew. Large lock requirements include long lines and fenders on board. Current locking through information is available at http://bit.ly/BoaterInfo. Mariners may experience delays, depending on passage demand. Most machinery and equipment, including the gates and valves, are original to the 97-year-old facility. 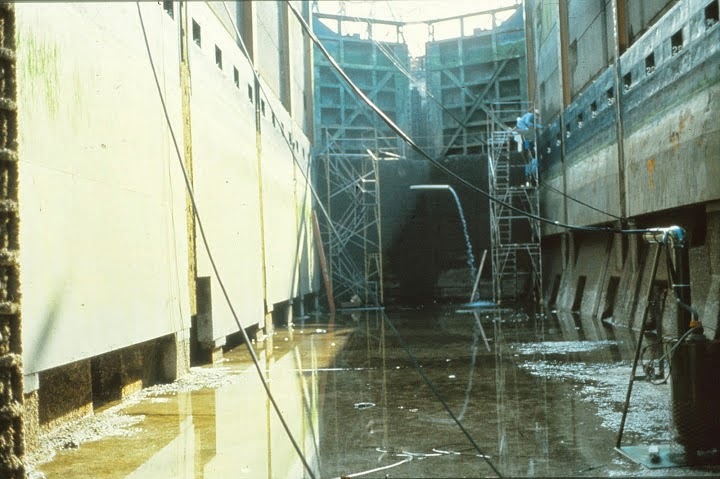 The annual closure gives dam safety experts and maintenance staff an opportunity to dry out the chambers for thorough inspections and to make necessary repairs. This routine maintenance is necessary and important in keeping the Chittenden Locks safe and operational as the locks approach their 100-year anniversary. The U.S. Army Corps of Engineers owns and operates the Chittenden Locks. The busiest in the nation, nearly 50,000 vessels lock through each year. 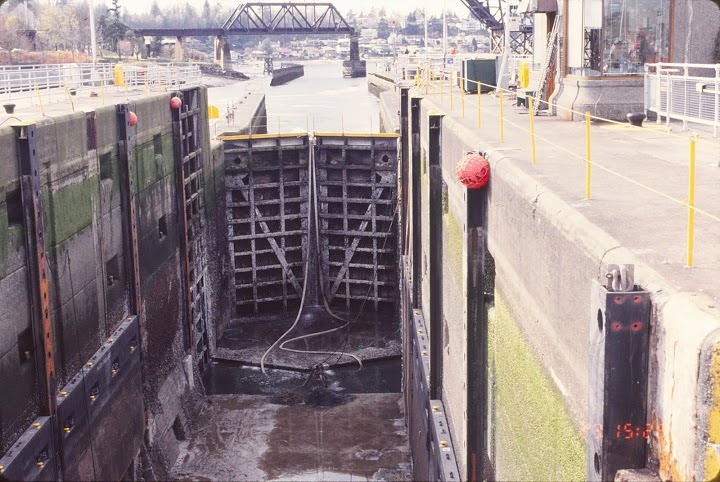 For current information about activities at the Locks, visit the Locks' Web site at http://bit.ly/BallardLocks or follow the Locks on Facebook and Twitter: www.facebook.com/chittendenlocks and http://twitter.com/ChittendenLocks.